Sandhill cranes fly en-masse from their evening roost to feed on corn waste in nearby farm fields. Each spring, the largest gathering of cranes in the world descends on Kearney, Nebraska, an 80 mile long pinch point along the Platte River. 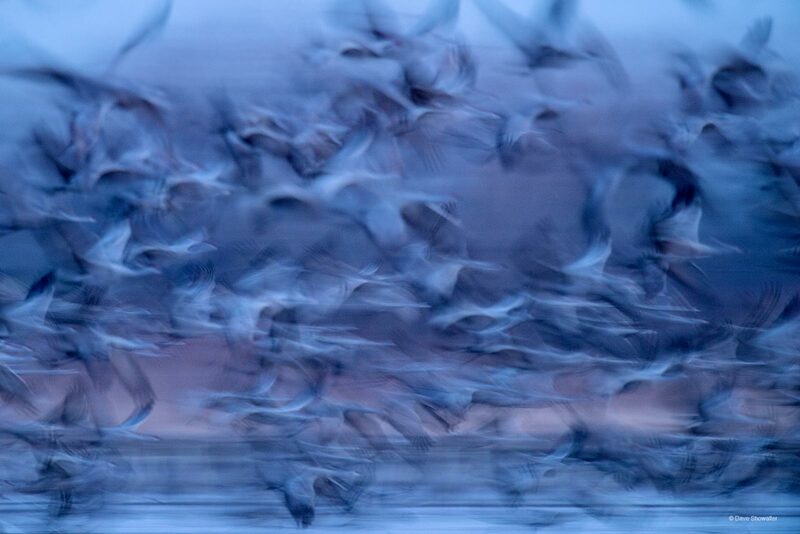 Some 500,000 - 600,000 sandhill cranes pass and tens of thousands of snow geese make for a spectacle like nowhere else. Audubon's Rowe Sanctuary is sanctuary and refuge for cranes and people from across the globe. Photo © copyright by Dave Showalter.